How Does MU Legend VS Revelation Online? The popular games MU Legend and Revelation Online will meet with us very soon at the end of 2016. We believe that the two games are the ones most people love. This article will describe the two games features and difference. 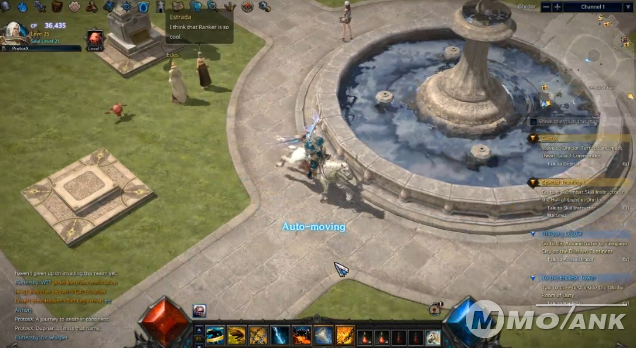 MU Legend and Revelation Online almost came face to face with each other after their publisher announcing that their closed beta test would both start on October 25th. However, this match was cancelled when Revelation Online backed down, moving its CBT on November 3 and giving player’s time to test/play MU Legend instead. Some players think that the reason why Revelation Online moved their Closed Beta Test is due to the fact that the game servers are not ready. Some think that it is because of the coming holidays while others think that it is because Revelation Online is afraid of losing players due to MU Legend. Does Revelation Online have to be afraid of MU Legend? What are the things that MU Legend have that Revelation Online does not? And vice versa? Today, let’s look at some of the more obvious feature differences and possible similarities between the two! Both MU Legend and Revelation Online offers class selection on the character customization screen, in fact both are almost identical on the process. However, the main difference between the two games is that MU Legend class characters are GENDER LOCKED while you can choose freely on Revelation Online with both male and female option available on all classes. In fact Revelation Online also offers 3 body build the Full Packed “Look at my Muscles”, Medium lean muscle build and a more slim body build. Also 3 “Age” settings, one which shows a more mature/adult well developed character form, the second/middle shows a more teen-ager look, while the third one shows a more childish/younger character figure. The Class System can either be a selection of pre-determined single class or a combination/stages of classes (multi path system). Either way, this feature is most of the time the determining factor on what is a player’s role in a group/community/guild. A class with huge Health Points and survival skills? Tanker! A class with seemingly endless barrage of melee damage dealing skills? Or a class who controls the arcane arts of Magic to slaughter the enemies with devastating fire and ice? Damage Dealers! We see exchanging blows from left to right, however there is a very distinct difference between MU Legend and Revelation Online. Although MU Legend have 1 more class which at the time is still “in preparation”(Emphasizer), Revelation Online on the other hand have 2 more classes at hand! 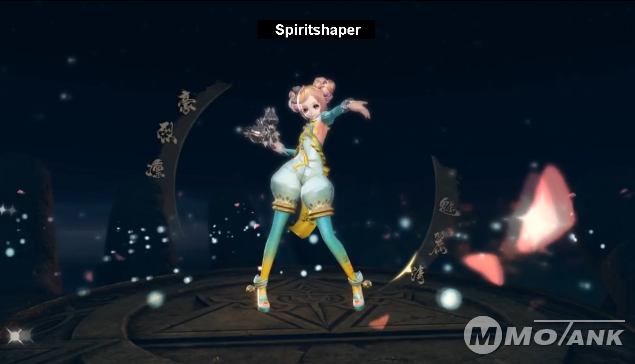 The Occultist which is a hybrid healer and Damage Dealer, and the Spiritshaper who seems to deliver an upper cut blow due to the fact that MU Legend, at the time, does NOT have a class that is dedicated to HEALING. With Revelation Online CN showing off the NEW ASSASSIN CLASS, Revelation Online pretty much dominate this round! With MU Legend isometric camera view, not only is the player visual range limited, it is also lacking in many aspect. For one, you can’t really see the sky above. But who wants to stare at the sky in a game, right? Well, how about flying on the sky with your wings while starring at your character’s face with clouds as his background? Perfect wall paper for your facebook page! Or that Dub poses atop a hill? Or that memorable printscreen when you got your in-games first kiss? An ingame selfie shot maybe? With Revelation Online having a FREE camera view, you can definitely take in-game selfies all you want! You can also stare at the surrounding flora and fauna, Look Up at tall buildings and characters etc. In Revelation Online, the Guilds have their own Daily Guild Quest, Guild exclusive buffs, Guild Exclusive events, Guild exclusive craftable items etc. including your very own Guild instanced territory and buildings! You can socialize with your fellow guild and invite them on your very own house too! Surely, MMOTANK store will provide MU Legend Zen as well as MU Legend Magic Gems. For the game products, we will offer you the cheapest price and best service. For revelation online, you can get Revelation Online Gythil after you place an order, you can receive it very fast. have fun in the two games!